European stocks will outrun Wall St in 2015. No, really. 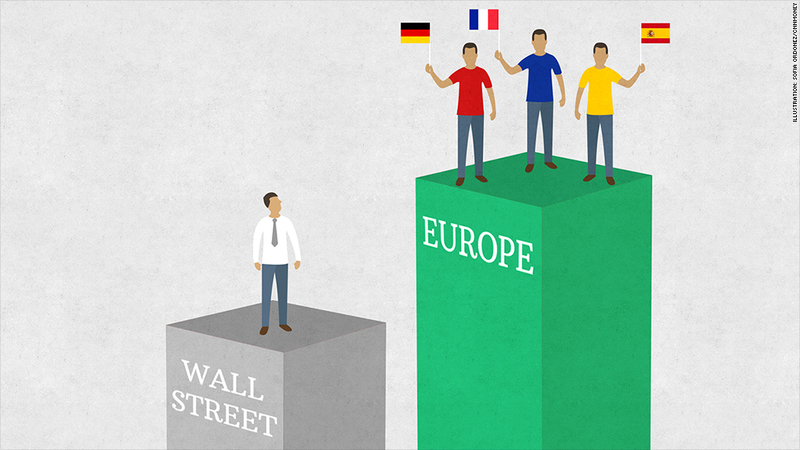 Why Europe will outrun Wall Street in 2015. No, really. European stocks are so hot right now. Seriously. Europe's economy may be in a mess but a few experts are boldly predicting its stocks will perform better than Wall Street this year. As U.S. markets roared to new record highs last year -- helped by strong growth in America -- European indexes barely moved. There are plenty of good reasons to stay away. The specter of deflation looms over the region's stagnant economy. Unemployment remains near record highs. Then there's Greece. The risk of a eurozone crisis has returned to investors' minds ahead of Greek elections later this month that could bring anti-austerity party Syriza to power. Russia's economy is spiraling into a deep recession, weighing on trading partners such as Germany. And yet, some analysts argue that now is the time to buy. 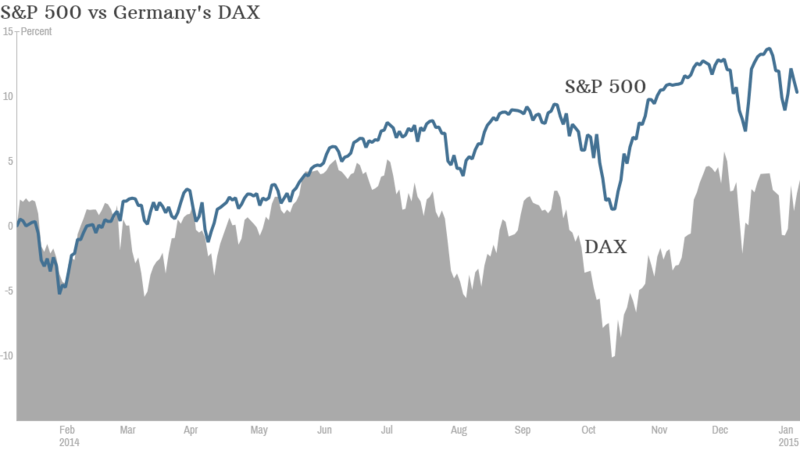 Barring a major shock such as Greece crashing out of the euro, stocks on the continent will outperform Wall Street this year, argues Oxford Economics' Bronka Rzepkowski. Much of that bullishness is tied to earnings potential. Profits at European companies have not regained their pre-crisis levels, but a weak euro, cheap commodities and sluggish wage growth will boost margins in the year ahead. At the same time, U.S. companies will find that the strong dollar, higher interest rates and wage inflation starts to take the shine off bumper earnings. Darrell Cronk, of Wells Fargo Investment Institute, holds a similar view. He believes 2015 could be the year the eurozone economy finally turns around. European companies are expecting their strongest earnings growth in more than a decade, Cronk wrote in a research report, and many stocks are cheap with attractive dividends. Then there's Mario Draghi's printing press. Full scale quantitative easing by the European Central Bank -- which could come as early as this month -- will likely drive stocks higher in the same way the Fed's stimulus program helped fuel the U.S. bull market of recent years. "Unlike many of the 'eurocynics' I hear about every day, I believe that 2015 could be the year that the market corrects the excessive pessimism about the outlook for Europe," Cronk wrote.